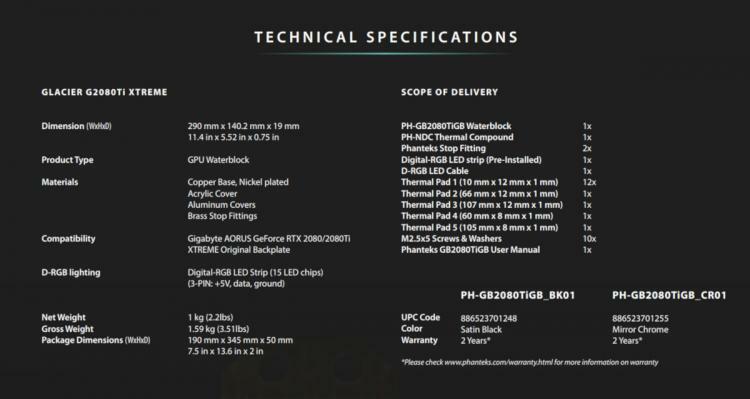 As the NVIDIA GeForce RTX 20-series ecosystem matures watercooling companies are becoming ever more confident in releasing components specially made for 3rd party implementations. Indeed, such is the case today as Phanteks unveil new additions to their Glacier G2080Ti waterblock lineup alongside useful accessories that will help you show off your system hardware. The Glacier G2080Ti full cover waterblock is already available in layouts that support the Founder's Edition PCB found in all GeForce RTX 2080 Ti Founder's Edition models (and a few 3rd party SKUs). Now they're rolling out variants compatible with two of the major high-end variants of this already premium brand GPU: the ASUS ROG STRIX GeForce RTX 2080 Ti, and GIGABYTE AORUS GeForce RTX 2080 Ti XTREME. - A full-cover waterblock custom designed for each respective card. 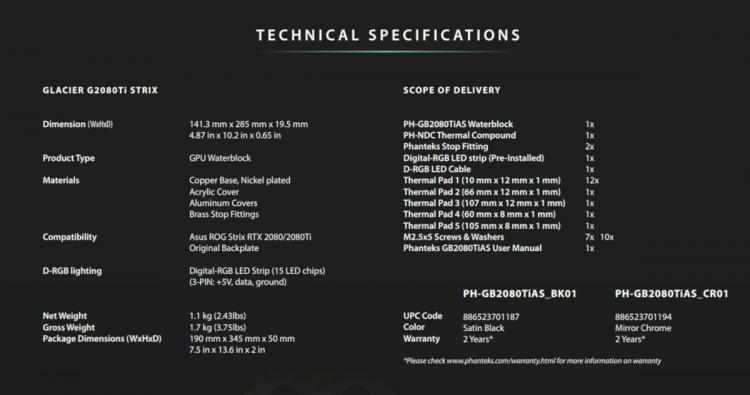 - Phanteks' PH-NDC thermal compound featuring nanodiamond-like particles. - Viton O-Rings and rubber sealing for improved durability and heat resistance proven in the automotive and aerospace industries. - Integrated RGB LED lighting compatible with all major RGB lighting systems such as ASUS AURA SYNC and GIGABYTE RGB Fusion. 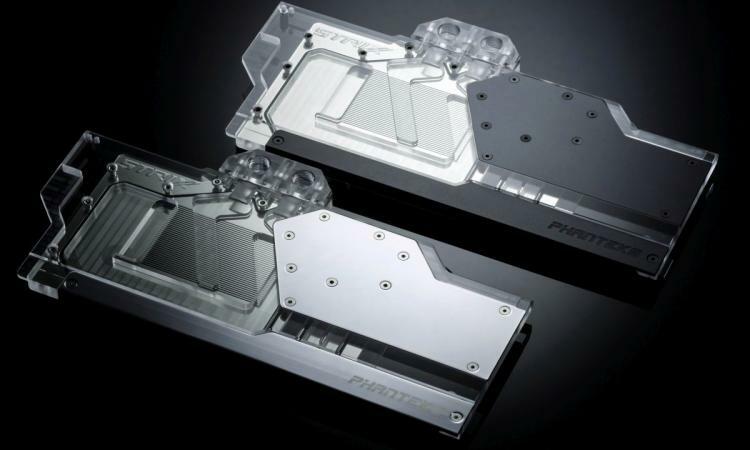 As well as the new Glacier waterblocks, Phanteks have teased the Glacier G2080Ti Back Plate for RTX 2080 and 2080 Ti Founder's Edition graphics cards. Offering a very different look to the original RTX 2080 and RTX 2080 Ti backplate, they're available with as black or chrome anodised aluminium with a sandblasted finish and Mylar protection film. 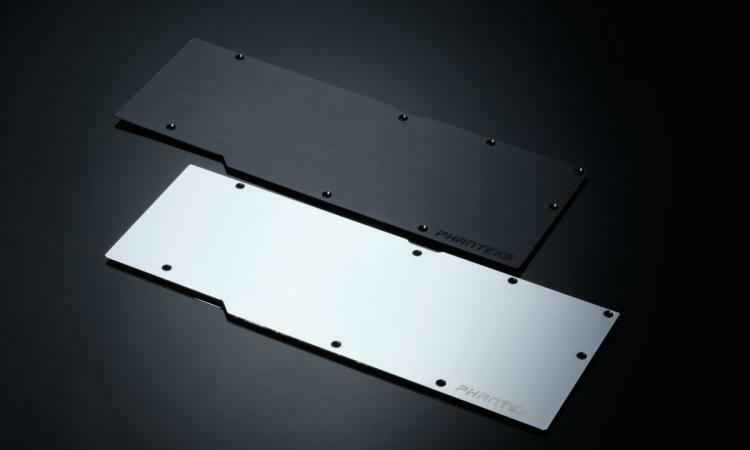 The plate pairs with Phanteks' G2080/Ti waterblock for Founders' Edition cards, for a complete water cooling solution. If you're planning to put your newly cool high performance graphics card on display, you may also be interested in additional Phanteks accessories which will be available later this month. 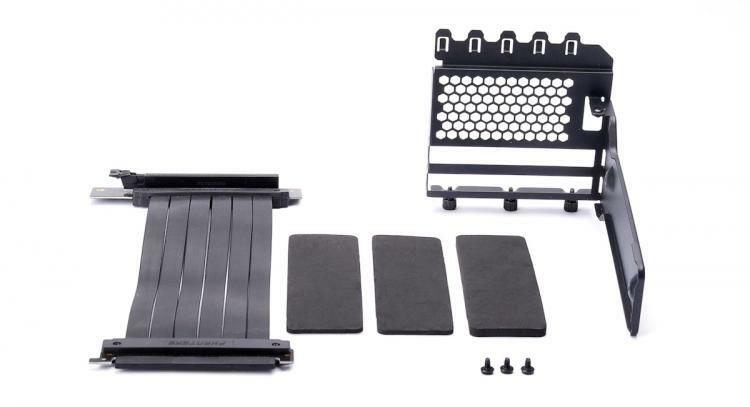 The Phanteks Vertical GPU bracket can be mounted in standard 7-slot PCI brackets found at the rear of most ATX chassis, blocking them off in favour of a dual-slot vertical mount. The Riser cable meanwhile is available in a length of 220mm or 300mm, and connects your GPU to an appropriate PCI-E slot on the motherboard. While a complete solution for vertically mounting your GPU, be aware that it does not offer additional support underneath the card. These new products should be available at the end of January 2019.